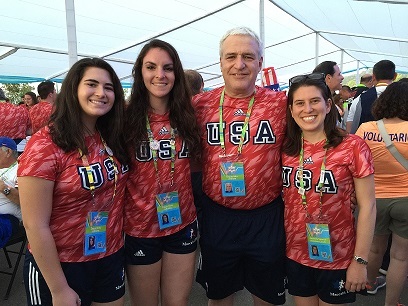 Professor Eby Friedman participates in the 2015 Pan American Maccabi Games held December 26th, 2015 to January 05th, 2016 in Santiago, Chile. He placed first in both the 400 and 800 meter freestyle events in his age bracket and won two gold medals. He also placed second in the 200 meter individual medley relay where he swam the backstroke and won a silver medal. Congratulations Professor Friedman.